Resident Evil is a series with a curious history marked by many highs and lows. 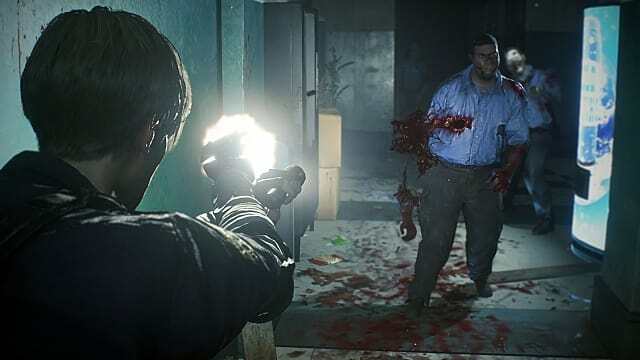 However, the upcoming Resident Evil 2 remake looks to keep things consistent, continuing what Capcom established with its excellent Resident Evil 7. After catapulting to fame during the era of the original PlayStation, the Resident Evil franchise plateaued with the smash hit that was Resident Evil 4. Despite being well-received at the time, this entry showed signs of the series rapidly moving away from what initially made it great. 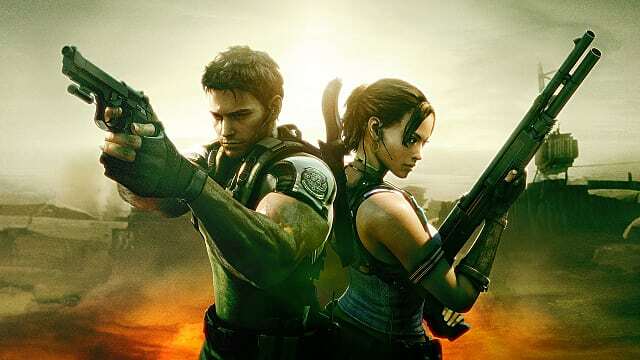 This continued with Resident Evil 5, which prompted some fans to reflect on the franchise’s move away from survival and horror towards something more akin to Call of Duty, though the entry was also well-regarded after its launch. Resident Evil 6 followed this trend and failed miserably as a result— at least in terms of satisfying critics and consumers — but there’s more to its failure than just a move away from survival tension. The series had become bloated by that time, with grandiose storylines and farfetched plots that asked players to suspended their disbelief without offering a rewarding return. The Revelations spin-offs tried correcting these problems, but they still struggled with convoluted plots and mixed gameplay styles. Finally, Capcom listened to players and delivered Resident Evil 7, the critically acclaimed return to Resident Evil’s survival-horror roots. It’s a fantastic game that manages to recognize the turns that the series took in other entires without being crippled by them. This led to a self-contained, nail-biting thrill-ride from start to finish. That's a good thing for classic Resident Evil fans, because without the success of Resident Evil 7, there probably wouldn’t be the highly anticipated Resident Evil 2 remake. 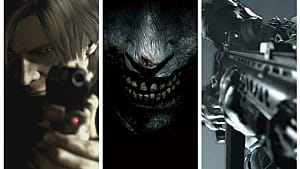 The first three Resident Evil games weren’t exactly unique in the survival genre, but it’s the survival elements that make them stand out and propelled the series to fame. Limited saves, limited space for items and weapons, and very limited ammunition create an incredibly tense atmosphere where players have to weigh each action carefully as they plan for some unknown and deadly future. At times, the games are downright brutal. It’s a clever method of immersion, making the player think like the character they control. 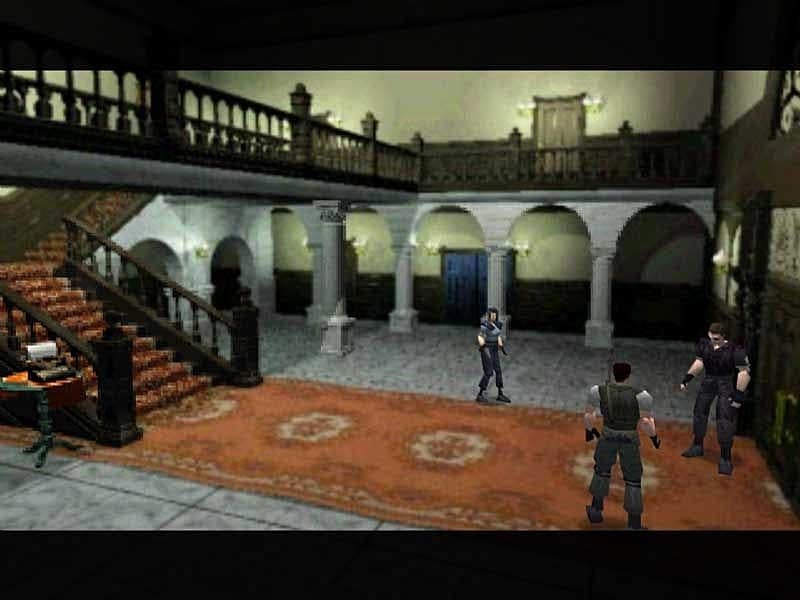 But the old Resident Evil games throw all of that at players at once, and they have tank-like controls that require players to rotate in order to change directions. Were it not for Capcom executing the atmosphere (complete with excellent pre-rendered backgrounds), horror, action, and survival so well, the controls could have completely ruined the experience. However, as it is, they add to the tension and setting, and they are a significant part of why some fans consider these three to be the best Resident Evil games. 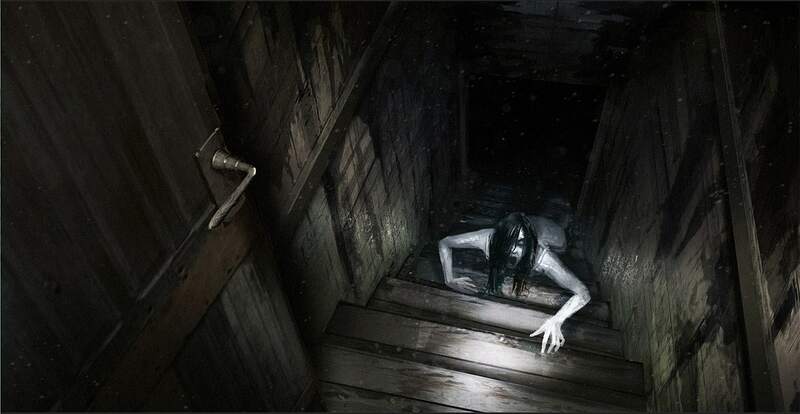 Any good horror experience requires just enough story, sprinkled with tantalizing mystery, to keep audiences invested and present a good reason for why the events are happening. While tension is really what makes the Resident Evil series scary, the stories they tell offer exactly that. For example, while Chris and Jill investigate the mysterious Mansion in the original release, they slowly uncover clues as to why these hideous monsters exist to begin with. Crimson Heads and Cerberus fiends get the blood pumping when they chase your poor tanky characters down a long hallway, but it’s when you figure out that Crimson Head used to be a human experimented on that it all gets a lot creepier, especially when players encounter Lisa Trevor. It’s no Silent Hill, but it’s disturbing nonetheless. As the series continues, so does its horrifying plot. For instance, events spiral out of control in Resident Evil 2 when the entirety of Raccoon City becomes contaminated, leading to the eventual destruction of the city in Resident Evil 3. All of this death, tragedy, and destruction centers around greed and the desire for power. Fantastical as it is, the story passes muster because it combines just enough humanity and reality with the obvious video game elements, and, more importantly, it keeps everything under control. The three games take place over a roughly six-month period, and Umbrella and the government take pains to ensure everything remains completely unknown outside the few survivors of the Raccoon City Incident. A Turn for the Worse? And then we come to Resident Evil 4. Leon Kennedy survives chaos and destruction, like any good hero, and he now works as a special agent investigating the kidnapping of the president's daughter by some Spanish cult. Resident Evil 4 turns the series into a kind of James Bond meets the Da Vinci Code plus zombies affair. The survival is still there, of course, and exploring abandoned, ominous huts and creepy cathedrals has a nice effect. But the plot is a mix of derivative and overly-complicated, introducing a new type of virus (that does the same thing as the T Virus), a new mysterious rival organization (that does the same thing Umbrella did), weird cults, presidential kidnappings, and more. 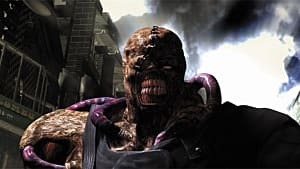 Resident Evil 5 tries to pick up Resident Evil 4's plot threads and link them to earlier hints at Umbrella’s activities overseas, but, in doing so, it abandons the essential survival element that made Resident Evil, well, Resident Evil. Sure, the action is exhilarating and lore fans will appreciate the plot expansion, but Capcom got the wrong message here. The company believed fans wanted action games, and it lost sight of its artistic vision. Pursuing profits meant creating material fans never really asked for to begin with — at least not from Capcom. Innovation took a backseat to pandering, and the company's reputation suffered from it (and from a certain controversy associated with it). Resident Evil 6 is the culmination of that misguided pursuit. Thematically, it’s a mess, with the four diverging plotlines each using different gameplay styles. None of these offerings are fully developed, and there is very little in the way of horror, grotesque monsters, or puzzles (outside of Ada’s campaign). Basically, it's not even a Resident Evil title. The plot is even more unbelievable than you’d expect from a horror title. Raccoon City was destroyed, so no one knows what happened, but it’s not very likely that all of the passengers on flights will turn into zombies while multiple international governments collude on some obscure weaponry plot without at least someone getting wind of what’s going on. Not to mention that a president’s daughter turning into a zombie and eating her father is bound to get some attention. And there’s always that slight impression in the back of your mind that Tom Cruise is going to jump out and save the day during the next cutscene. But oh, how Resident Evil 7 changed things. 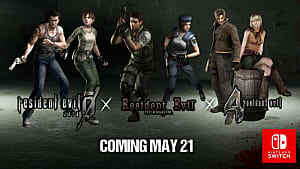 The game was developed concurrently with the remake of Resident Evil 2, though, of course, 7 came first. That two teams worked on two similar, back-to-basics titles strongly suggests that Capcom got the message about what fans want loud and clear, but without 7’s success, one wonders whether the company would have seen the remake of 2 through to the end. Longtime fans probably have an idea of why Resident Evil 7 was so successful, but it’s worth breaking down anyway. The most obvious reason is the return of the survival and horror elements, and while inventory management might not be as brutal as before, you still must think carefully about what you’re doing, especially since everything wants to kill you. 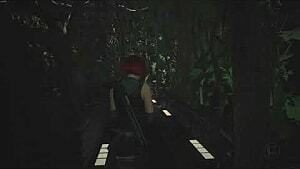 Furthermore, Capcom likes to experiment with camera angles, but choosing first-person for 7 was vital for the game’s atmosphere and creating a unique experience. Exploring 7's plantation mansion in third-person — even in HD—would be far too similar to exploring Resident Evil and Resident Evil Zero’s mansions, and it would have repeated Resident Evil 6’s mistake of recycling the Raccoon City Incident. First-person also increases the horror factor exponentially, both because it’s a new approach and because it makes 7’s setting more intimate. That level of closeness is what really makes 7 so great, as it creates an overall scarier experience. Wandering the plantation house and grounds while knowing that no one can hear you or save you makes for an incredibly tense experience. It’s even more tense when the stakes are so personal, with Ethan’s wife’s life in the balance and the terrible choice between Mia and Zoe that players have to make. It's a return to the style of the original three games, as it emphasizes the human element, particularly when players learn how the Molded came to exist and what (and who) Eveline really is. However, it also allowed Capcom to ignore the tangled mess the House of Umbrella created. RE7 is very much tied to the Umbrella saga, and there are nods to the stories in other games, what with Chris’s connection to Blue Umbrella, but all of that is literally miles away from Ethan. As with the original, all the player knows is what’s going on in front of them, and the story unfolds as Ethan learns more about Eveline and the Bakers. It doesn’t preclude a grand tale, but it does mean the game is a lot more focused and can tell a better story through its gameplay. How does that relate to Resident Evil 2’s remake, you might ask? In several ways. First, Capcom learned to balance innovation with tradition. 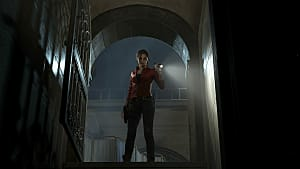 7 showed just how much fans wanted survival-horror to return to Resident Evil, and now Capcom seems to understand it’s okay to give horror-driven gameplay back to fans on a regular basis. It makes sense then to go back to RE2 right afterwards, and it shows fans that the company is serious about what the series will be about from here on. It also offers a chance to expand once again on the formula that made the first (and seventh) so successful: survival. Notably, 2 is even more of a survival-horror game than 7 or the original Resident Evil, offering higher stakes, more claustrophobic environments, and an ever-present sense of panic about what’s going to happen to the city. 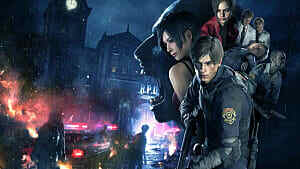 Certainly, Resident Evil 2’s remake will pull in even more fans because of this approach and its expanded environment. Then there's the lessons in gameplay innovations that Capcom learned from 7. 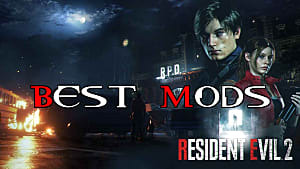 Successfully implementing camera and control changes in that entry means that the company now knows how to navigate the difficulties of re-creating Resident Evil 2 for modern players. Additionally, it also makes it okay for Capcom to reinstitute the third-person angle without feeling like something drastically different had to be done. Innovation can be small-scale and still have impact, and knowing this likely influenced Capcom’s decisions to faithfully reproduce RE2 while making only necessary changes. 7’s story made returning to 2 feasible as well. While engaging, there’s no denying RE2’s plot is a lot simpler than later games, which could have seemed like an odd jump if players went straight from 6 back into 2. Instead, it’s a logical step, allowing new fans that were drawn in by 7 to uncover the origins of Umbrella and its mutants without having to venture back into the more recent games. The stylistic differences could cause them to completely lose their taste for the series. Whether the remake would have happened anyway, there’s little doubt that 7’s success ensured Capcom would put as much effort into recapturing the dark grandeur of the series as possible. But then there’s the question of where the series heads from 7 as well, with some fans wanting it to expand like the original release of Resident Evil 2 expanded on the first Resident Evil. Capcom is reportedly keeping an eye on fan responses and is toying with the idea of using urban settings again instead of sticking to exotic, far-flung locales. That makes RE2 remake an ideal experiment for seeing where the series can go next. 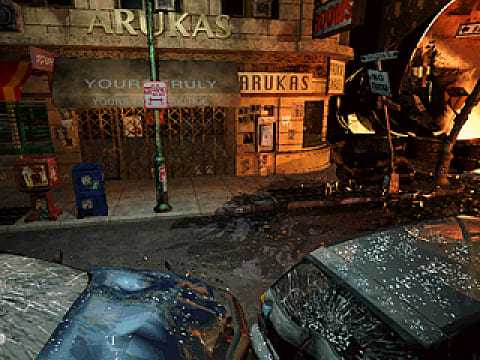 Should fans love Raccoon City as much as they once did, it’s likely we’ll see an even better city setting next time. Regardless, Capcom has learned its lesson. What fans are likely to get from now on is a combination of what sells and what the company wants to create. 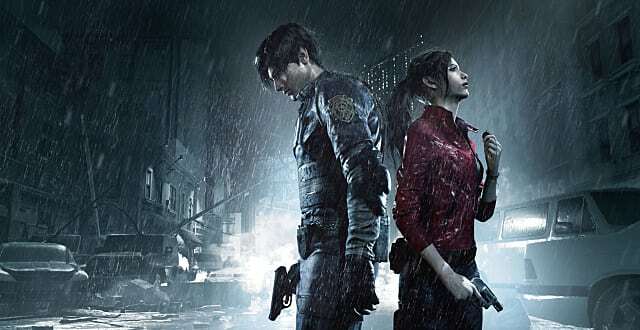 It’s a fine line to walk between caving in to consumer demand and still giving developers room to create, but with the Resident Evil 2 remake setting the tone for future installments by leaving Capcom in no doubt as to what sells (and what developers should create), the monster of greed and innovation has, hopefully, been tamed for good. Most importantly, Resident Evil 7 ensured the remake would be a success from the get-go. Longtime fans might have bought 2 to experience what they once loved, but without 7, it’s unlikely many new people would have given it a try, especially knowing it’s a remake of an older, clunkier game. Instead of being a one-off return to the glory days of old, the Resident Evil 2 remake is set to take a position as the herald of greater things to come. It marks the transition of one of the best horror game series around back to more horror, more challenges, more intrigue, and most of all, more fun.